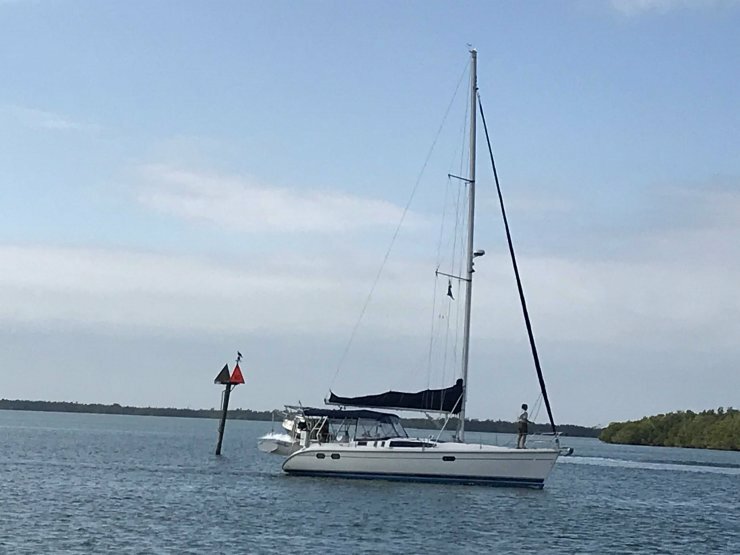 Sea Hunt is a well maintained sailboat designed as a short and long distance cruiser. 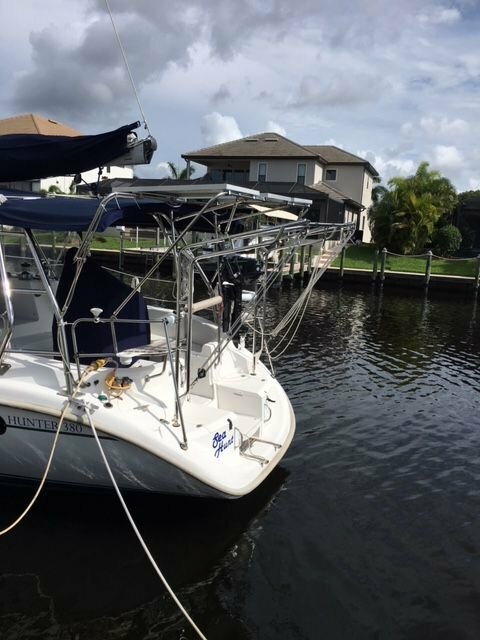 She has all the comfort, convenience and livability that makes cruising enjoyable. Lots of natural light streams in from the many hatches and ports which also provides great ventilation at anchor or away from dock. 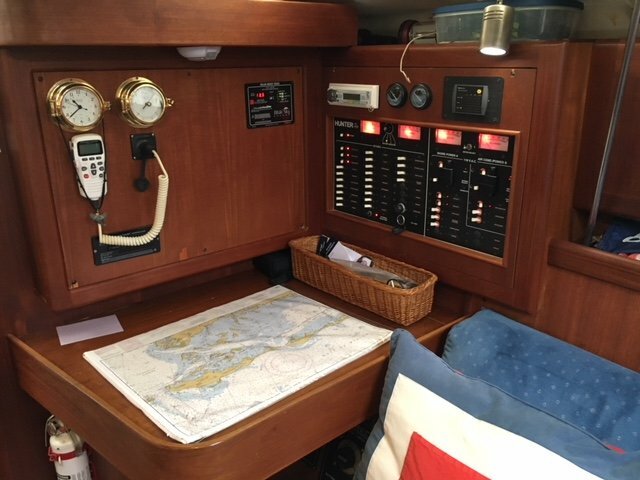 At dock, Sea Hunt provides the comfort of home with central reverse cycle heat/cool air. She is equipped with three 85 watt solar panels and six deep cycle house batteries that provides all the necessary power for continuous operation. 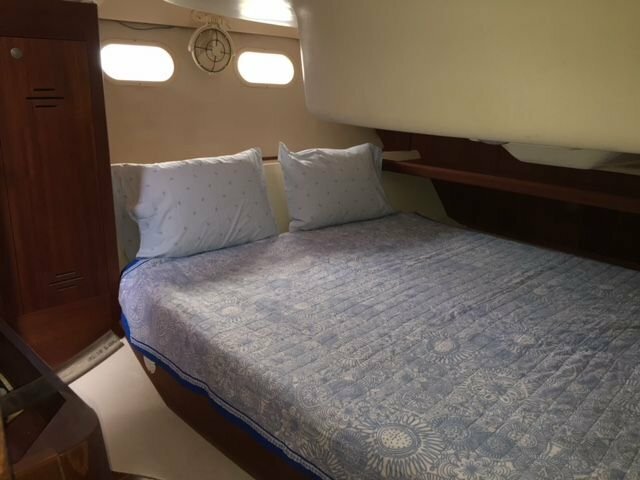 There is a large queen berth along with abundant storage in the aft cabin. The large head amidship includes a standup shower stall with separate vanity and sink. 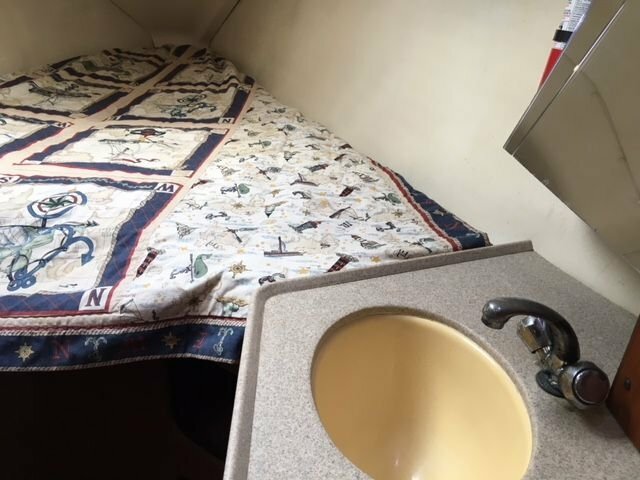 The forward cabin provides a private V berth with storage locker and a vanity and sink. 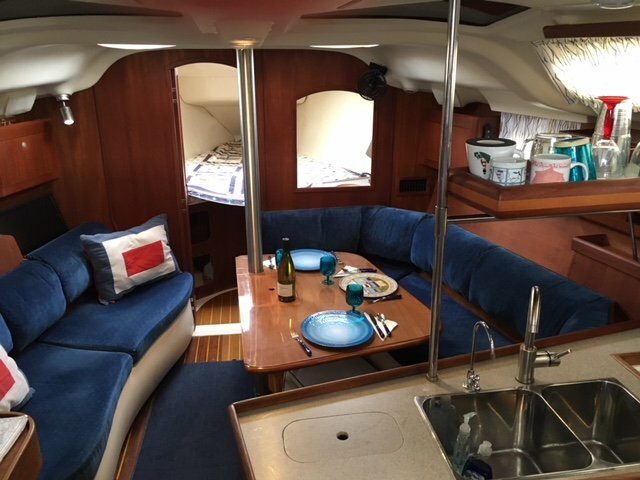 The roomy salon includes a drop down dinette that can easily support six persons.The large refrigerator and separate freezer provides capacity to support long distance cruise. 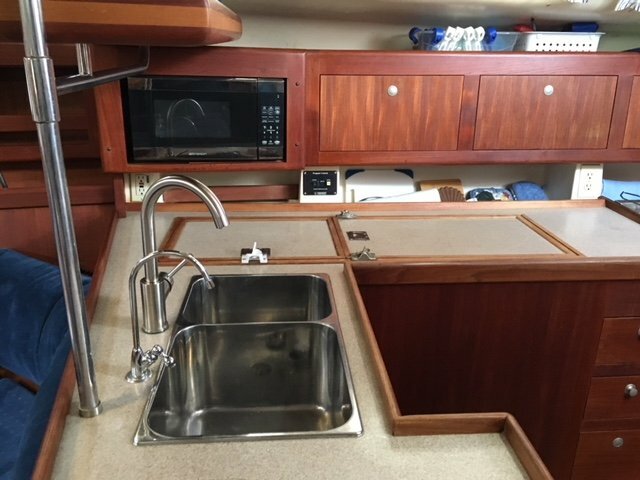 The fully equipped galley also includes a three burner propane stove with oven., microwave, two bowl sink and plenty of counter space. 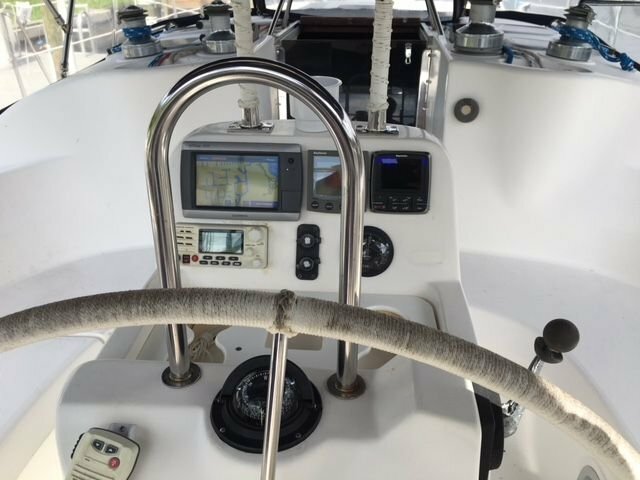 On deck, the spacious cockpit is protected with dodger and bimini with helm station that includes GPS chartplotter, VHF radio with AIS and auto helm. Sea Hunt is equipped with davits for dinghy and bracket for outboard. Sea Hunt is powered by a 36 hp Yanmar diesel engine. 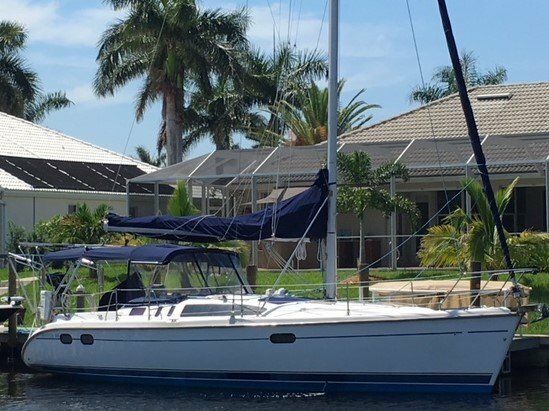 This is an ideal sailboat for extended cruises with liveaboard potential or brief weekend getaways. Additional specs, equipment information available upon request. 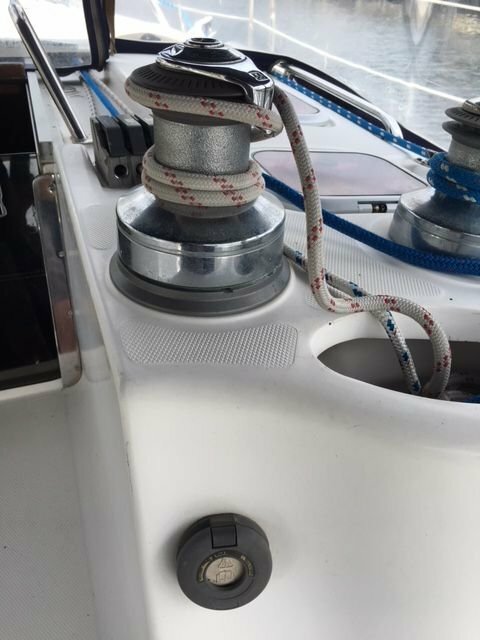 9 Lewmar deck hatches for great ventilation.